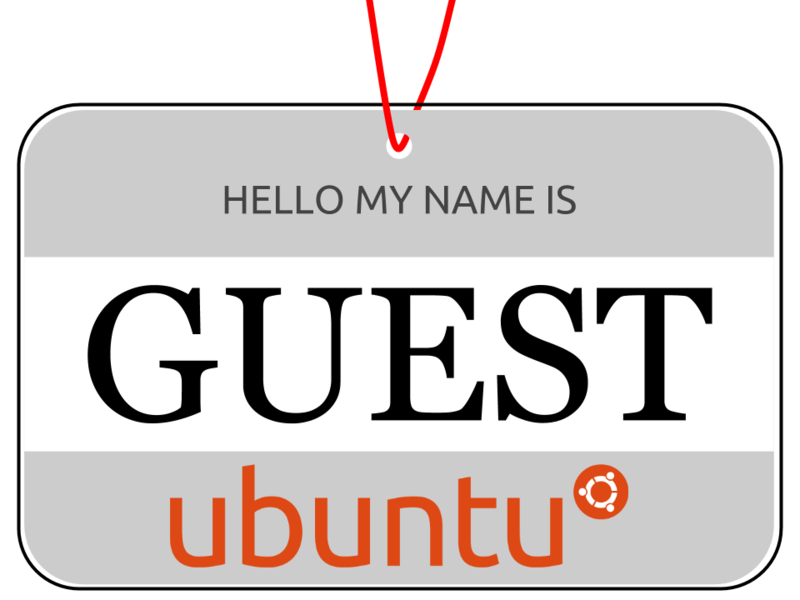 The guest session is a very important feature of Ubuntu Linux. It makes it very simple to give other people temporary computer or Internet access without compromising the permanent users of the computer. Unfortunately the separation is not perfect, the guest user can actually modify critical configuration settings on the computer and even access the files of the other users, if they don't take precautions. The following scripts and files help to lock down the guest session so that no harm can be done. The guest session is actually a feature of the LightDM Display Manager that is used in Ubuntu and in Xubuntu. The guest session is enabled by default. LightDM uses the /usr/sbin/guest-account script to setup a temporary guest account. The home directory is created in memory (via tmpfs) and can occupy at most half the RAM of the computer. Optionally, /etc/guest-session/prefs.sh is included as root to further customize the guest account. LightDM starts a new session as this account. The guest account runs the /usr/lib/lightdm/guest-session-auto.sh start script. Optionally, /etc/guest-session/auto.sh is included to run other start tasks as the guest user. The guest session behaves like a regular Ubuntu session including full access to removable storage media, printers etc. Upon session termination LightDM uses the /usr/sbin/guest-account script to remove the temporary account and its home directory. LightDM has IMHO a bug: If one opens a guest session and then locks that, it is impossible to go back to that guest session. Choosing "guest session" from the LightDM unlock menu will actually create a new guest session instead of taking the user back to the existing one. In the customization below we disable session locking for the guest altogether for this reason. To customize the guest session the following /etc/guest-session/prefs.sh and /etc/guest-session/auto.sh scripts are recommended. The prefs.sh script is run as root before switching to the guest account. It creates a custom Google Chrome icon without Gnome Keyring integration (that would ask for a login password which is not set) and disables various autostart programs from running. They are not needed for non-admin users. This auto.sh script is run at the start of the guest session under the guest account. It configures the session behaviour. Most important is to disable the screen locking because it is impossible to return to a locked guest session. I decided to also completely disable the screen saver since I expect guest users to terminate their session and not let it run for a long time. Disable the shutdown and restart menu items. Configure the keyboard layout with 2 languages (you probably want to adjust that as needed). Show full date and time in the top panel. Set the order of launcher icons in the Unity launcher. It is fairly easy to find out other settings with gsettings list-recursively if required. With these additions the guest session can be a very useful productivity tool. At our school the students use only the guest session of the Ubuntu computers. They got quickly used to the fact that they must store everything on their USB thumb drives and the teachers enjoy "unbreakable" computers that work reliably.